Well once there was a housewife who made great matar pulao (peas in spiced rice).. After lunch the leftover pulao she kept in fridge but the bowl eloped in the jungle of other things kept in the fridge. So two days later this housewife was shocked to see a bowl full of matar pulao. And it was a weekend so making paranthas for breakfast was demand from her family. 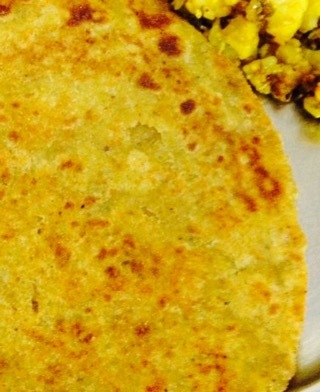 She gave a little twist to the paranthas and made yum yum crispy paranthas. 7 Money eating bugs of our life!